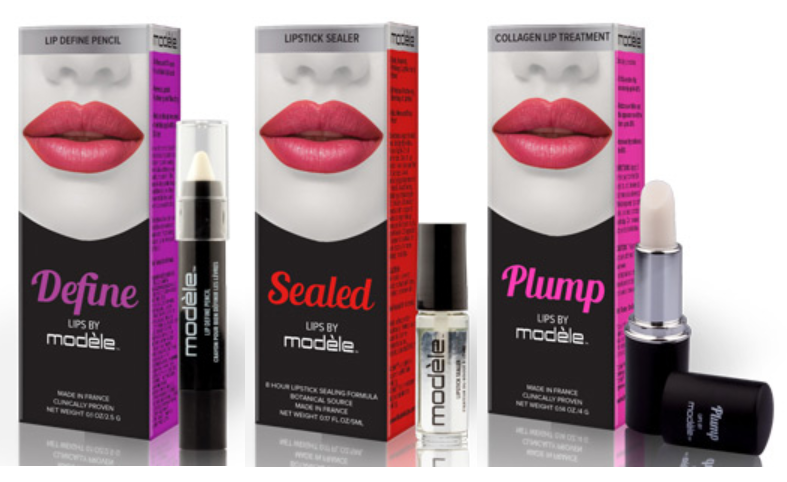 Define, seal and plump with Modèle Lip Treatments! Sealed - 5ml - $13.49 - with a safe botanical formula that seals lipstick to eliminate any bleeding or feathering and making any lipstick instantly long lasting, water, food and kiss proof for up to 8 hours. It's easy to use: after applying lipstick, blot lightly with a tissue and apply 2 to 4 generous coats of sealer. Keep lips apart for 20 seconds and avoid pressing for the first minute. And if possible, avoid eating, drinking and smoking for the first 20 minutes. Use any makeup remover or soap and water to remove - I find it comes off easiest with an oil-based remover. Plump - 4g - $29.99 - visibly increases lip volume up to 40%, reduces the appearance of fine lines and wrinkles and improves hydration that can be used alone or as a lipstick base. Apply three times a day for a minimum of 30 days and then use regularly to maintain results. Available now at select Rexall, Pharma Plus, Pharmasave, Jean Coutu, Familiprix, Brunet and Guardian IDA stores across Canada.